There are two traditional "discrepencies" involving the number 70. One is in Vayigash and the other concerns the number of lines the shirah of parashat Ha'azinu must be written on. Two other numbers connected to the "70 discrepencies" are the numbers 1 and 3. Both 1 and 3 pertain to the constellation of the upper sefirot; 1 to keter and 3 to chochmah, binah and da'at. The number 70, of course being a multiple of 7, pertains to the "woman of valor" operating as an interface between the lower 7 sefirot and the upper sefirot within the worlds of yetzirah (70) and assiyah (7). And she sat under the palm-tree of Deborah between Ramah and Beth-el in the hill-country of Ephraim; and the children of Israel came up to her for judgment. The name of neviah (prophetess) Devorah (דבורה), who sat under (in the place of) a palm tree , comes from the shoresh (3-letter Hebrew root) DBR (דבר) meaning: collecting, gathering, combining separate items into one, connecting words with coherent speech, word, something, on account of or because of, commandment, judicial regulation, temple interior, raft of lashed planks, bees, and plague or epidemic . This shoresh is associated with the sefirah Gevurah . The dragon is the mythic animal corresponding to the sefirah Gevurah . The name Devorah is comprised of 5 Hebrew letters. These 5 letters represent the 5 unrectified feminine judgments (dinim) in Malchut, where Malchut is represented by the second hei (ה) of the tetragrammaton. This hei corresponds to the power of expression (אמר). Consequently, Dragon's Blood is a botanical representing "slaying the dragon". In other words, it represents the rectified feminine power of expression. Dragon's Blood is a resinous substance harvested from a Sumatran tree from the palm family. The mature fruit of the Dragon's Blood palm is reddish resin covered berries the size of cherries which end in points. The Dragon Tree of the Canary Islands (shown below) is (like the baobob tree) the "oldest living representative of the vegetable kingdom" (see link). The word in the pasuk for "beneath" a palm tree is תחת , which can also be translated (see ) as "in place of" or "instead of". As a judge, the implication here is that Devorah sat making judgments. In other words, she could adjudicate the terms of justice, determining the sentence according (in the place of) the crime or violation. 50 to 70 per cent resinous compound of benzoic and benzoyl-acetic acid, with dracoresinotannol, and also dracon alban and dracoresene. Not acted upon by water, Dragon's Blood fuses through heat. A primary constituent (about half) of Dragon's Blood is benzoic acid, C7H6O2 (C7H5COOH), a "colorless crystalline solid and the simplest aromatic carboxylic acid." Considering the chemical molecular formula, we see that there are in total 7 carbon atoms, 6 hydrogen atoms and 2 oxygen atoms in the molecule. Kabbalistically, the numbers are zayin (ז), vav (ו) and a chatoteret comprised of 2 lines. These number facts of 7-6 and 2 (the chatoteret) combined into one molecule make the letter chet (ח), which contains the secret to both the power of G-d and the soul of mashiach. A diagram of the chemical structure of benzoic acid is shown below. Note the hexagonal shape of the aromatic carboxyl group. A regular hexagon (like the one shown) has 720  degrees made of 6 equal internal angles of 120 degrees each. Interesting to consider in terms of the tetragrammaton and four forces from one, a truncated tetrahedron (split in half) has 4 regular hexagonal faces. The Hebrew word for half and arrow is the same word, חץ. There are 720 possible permutations of the 6 letters בראשית Bereshit (the first word of the Written Torah), a secret of challah and the tikun of tohu. I acquired (koach ha'tfisa) my athame this afternoon. As yet, there is nothing inscribed into it. I laid it angled (opposite to the way a mezuzah angles on a doorpost) across the middle of the altar plate to absorb light from the shabbat candles. I lit Dragon's Blood incense. Also on the altar for shabbat, I lit 4 black candles at the quarters, an 8 inch black taper in the center, and a 6 inch dark red pomegranate pillar behind the taper (off to the right a small bit as I faced it). A little later into shabbat (a few hours), I noticed that the northern quarter black candle wasn't burning as bright as the others, even though it continues still to burn steadily. Odd, I thought. After noticing it, a family member came to tell me the news (koach ha'klita) - Saddam Hussein was set to be executed within the next 15 minutes by hanging. This evening is the first time I've used both Dragon's Blood incense and pomegranate candles. It's amazing how the Dragon's Blood incense and the pomegranate pillar are of identical dark red color. Still, the northern flame humbly burns unextinguished. Interestingly, as I write this, the flame on the southern quarter has made itself to match the northern one. The sharpened arrow (חץ שנון): There are 300 halachot concerning "you shall not let a witch live." King Yoshiyahu, יאשיהו, one of the most righteous kings to arise from the House of David and referred to as "the mashiach of G-d", was killed - due to the great transgressions of Israel - in battle with Pharaoh Necoh by 300 Egyptian arrows. Three hundred arrows is the secret of חץ שנון, the "sharpened arrow". For the record, for all practical purposes, I feel I have been put into cherem ever since I returned to Judaism. Even though I haven't been under a ban (to my knowledge), I am basically a pariah left to survive at the mercy of the world. This is likely due to a confluence of many reasons, of which I am left to merely speculate as to what they might be. My teshuvah experience has not at all been pleasant, and sometimes I wonder how I have survived at all. It has not been via any help from the Jewish community. In my early thirties my life fell apart, and still today, at nearly forty-six, I have not been allowed nor enabled to recover in those areas beyond my control. I am surviving basically. I imagine my difficult path back to Torah (which has evolved into being a Jewitch) has had the side benefit of augmenting the tendency of my natural INTJ personality not to allow myself to be "told what to do" by Rabbis who would like me to "get with the program" (now, although for many years, Rabbis would have preferred that I "just die" or something). Clearly, they have found, I am not one to get with any program just to fit in or "just die". I am not going away no matter to what remote corner of the universe they may fling me. I am what I am and that includes being of Jewish, Celtic and Native American American ancestry. There is no one on the face of this planet or in heaven above with the power to take away my Jewish soul just because I won't "get with the program". Nor will I cut off the Celtic or Native American aspects of my neshamah just because some Rabbis want me to and their automata parrot the call. I will be Jewish my way, in a manner which respects the integrity of my neshamah, and that includes being a shamanic Jewitch. I so wish I'd have realized I was a witch much earlier in my life. Nevertheless, now that I have recovered this part of me, I fully embrace it. There is no way I legitimately couldn't embrace it anyway. I am a witch. I am a Jewish witch. The world, Jewish and non-Jewish, can accept me or not, but what I am is not (nor ever was) determined by that acceptance or lack thereof. Further, for the record, most of my kabbalistic learning is chassidut-based. If I had to point to a primary teacher, that would be Rabbi Yitzchak Ginsburgh of The Inner Dimension. Many of my kabbalistic ideas have a foundation in the Hebrew letters as he has taught about them. I have little knowledge of the Kabbalah Center although I have visited and linked to various pages on its website on occasion as a reference to support various ideas. I am not averse to doing this despite the nearly universal disparagement of it among the orthodox. Likewise, I don't recognize the ban against Sabbatean kabbalah (or any similar ones against Jewitches) and have incorporated some of those kabbalistic teachings when they resonate with my experience and religious or spiritual ideas. If I learn something from someone, the fact that the orthodox world does not accept him or her, matters not. I am going to link to the source for that learning or reference. So, I'm not sure exactly where I fall on the spectrum of Jewish belief. I have some Reconstructionist leanings as well. My secular education is rather scientific-focused, and I find intellectual Reconstructionism a welcome balance to kabbalistic Chassidut. Yes, I am syncretic, but only in ways particular to my own "portion" of Torah. I don't blend into my practice another tradition just for the sake of doing it. The syncretism must be born of my own netivot (personal soulpaths), otherwise it would be disrespectful to the integrity of both the path I was seeking to incorporate illegitimately and to the purpose in creation for my own unique soul. At this point in my journey, the flavors of Torah in my soul are the Jewish tradition, Celtic witchcraft and Native American shamanism. Consequently, my "syncretic" focus exists there. Clearly, no one else is like me. We are all unique and I have no doubt that there exist Jews who should embrace the Arabic ancestries which they may have. I think Sephardic Jews do this to some degree. I love Sephardic meditation music BTW, it's beautifully congruent with the shamanic aspects in my soul (so maybe there is a hidden Sephardi ancestry or soul connection in me as well). As I've posted before, I practice a unique form of Abulafian kabbalah and I know Abulafia held Sufism in very high regard, incorporating some of its teachings into his teachings just as I incorporate some of the teachings of Celtic witchcraft and Native American shamanism into mine. Clearly then, focused syncretism is not without precedent among the sages and has a place among the netivot of Klal Yisrael. Many may or may not like my ideas or me and that's every person's right to decide. But one thing is surely certain - no one can tell me who or what I am or am not. Today I received my first silver pentacle. It looks like the one in the graphic on the left. Now I have both a gold magen David and a silver pentacle. Soon, I will receive the Jewitch star I purchased which combines them both. Previously I described how the Jewish mezuzah and the Celtic witch's athame (ritual dagger) are both related to the "blood sign" of the exodus through the hebrew letters of mezuzah (מזוזה) and through the mythology of both. Interestingly, the witch's pentacle is even more directly related to mitzvah of mezuzah. In many manuscripts we find a passage that contains a pentagram, and alongside it is written: ‘This is the Maaseh Merkavah KUZU BMUKSZ KUZU’, and under these letters is written: YHVH ELHYNU YHVH. A pentagram is the star of five points with a five-sided geometrical shape in its center. A pentacle is a pentagram encircled . As the pentagram clearly corresponds to KUZU BMUKSZ KUZU, the pentacle likewise corresponds to YHVH ELHYNU YHVH. 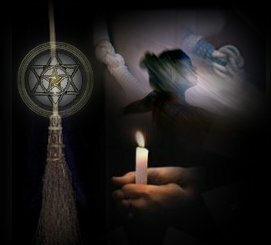 Given the connection of the witch's pentacle to Abulafian hebrew letter kabbalah (which I have uniquely practiced for nearly a decade), I can see now that my interest in Jewitchery is a very natural development of my kabbalistic learning. Moreover, in light of the fact that the witch's pentacle and athame are both connected to the mitzvah of mezuzah, when I acquire my athame later this week, I intend to inscribe upon its blade KUZU BMUKSZ KUZU, in hebrew letters (one side, with a pentacle also) and YHVH ELHYNU YHVH in letters of the celtic ogham (the other side, with a magen David also). Note the >-feather (eite) of the ogham line which denotes the "beginning" and direction of writing. This characteristic mark at the left end of an ogham line is like a mystical extention of the tip of the athame. In other words, the essential "energy" of YHVH ELHYNU YHVH is being directed beyond the tip of the blade when used in ritual. Thus, the athame inscribed as discussed above, which as an extention of the witch herself, is used not only to project and direct mystical kavanah, but to direct Divine Energy as well. This afternoon, as I was watching The Mummy Returns with my mother, a commercial came on the TV describing some cute little automatic light widgets for sale. You know, the TV-deal kind of commercial which sells neat kinds of helpful household widgets. Anyway, this particular kind of light widget is for small spaces and automatically turns on when one opens the drawer or whatever. I remarked that it was a cute idea. My mother then casually remarked that she had just ordered something similar for the "back closet" and expected it to arrive any day. The "back closet" she was referring to is the closet of my epiphany when I was a little girl. It was my closet back when I was little. I am going to be 46 in a few weeks. That closet has never had a light in it for all of those 46 years (actually 45 years since it was built and became my childhood closet when I was about a year old). But now, it is about to get a light in it. I wonder if this makes me the real nittel witch? I was born January 8, 1961 and given that "nittel night" can vary to fall between January 5 and January 9, this too, can't be coincidental. I even had an epiphany. Leil Nittel is a Jewish custom to not study Torah on Christmas/Christmas EveAlternatively, among the more orthodox, nittel is observed January 6th as opposed to on Christmas. Christmas is the day Christians honor as the birthday of the one they recognize as mashiach. January 6th is associated with his "recognition" by La Befana, the witch sought out for directions by the 3 Wise Men on their way to Bethlehem, celebrated by the Christian holiday called Feast of the Epiphany. According to Christian legend, the first few times asked, the witch refused to assist the 3 Wise Men. She changed her mind when she saw a great light (i.e., the "star of Bethlehem" in Christian teaching) in the skies. From this little bit of information, one can glean that the rabbis may interpret the "great light in the skies" seen by the witch as the masculine light (vav ו, aur yashar) of Torah learning. 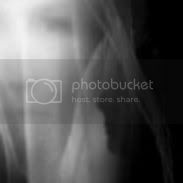 Consequently, the practice of nittel aims to blot out the light which gave rise to the witch's recognition of a "false mashiach" (according to Jewish tradition). In other words, the aim is to force emergence of a returning Dark Light (aur chozer). You see, the problem is not with Christianity really. The problem (in Jewish understanding) is both misrecognition by the witch and the masculine light of Torah in the skies which gave rise to it (through the witch's abdication of her own inner feminine guiding light in deference to it). The witch doubted the value of her own Dark Light. True recognition (proper acknowledgment) is a function of rectified Hod, a feminine soul power central to the meaning of Chanukah (see karnei Hod). This is of the Dark Divine Light, and a power of the Left Emanation. Therefore, true recognition of the true mashiach will not come via the masculine Bright Light, it must emerge from the Darkness Herself. Only through emergence of the letter zayin (ז, representing the feminine aur chozer) can the letter chet (ח), representing the soul of mashiach, become completely manifest. So, both the witch and the "rabbis" of that era erred in that both the witch and the "Wise Men" rabbis believed that a Bright Light would guide them to mashiach. But the truth is, that recognition of the true mashiach must emerge via the feminine Dark Light Herself. In spite of the December chill, more than 75 people came together to attend the public dedication of Sgt. Patrick Stewart's plaque on the Wall of Heroes in Fernley, Nevada. In addition to family and friends from the local area were Pagans from other parts of Nevada and from other states, including Utah, Florida, California, Minnesota, Wisconsin, and Ohio. They gathered to honor Wiccan war hero, Sgt. Patrick Stewart who was shot down in Afghanistan on September 25, 2005. Earlier this year, when his widow, Roberta Stewart attempted to order his memorial plaque from the US Department of Veterans Affairs (VA) her request was denied. The reason, she was given, was that her husband's emblem of religious belief, the Pentacle, was not one of the 38 symbols of belief approved by the US Department of Veterans Affairs for inclusion on the memorial markers it issues. Roberta Stewart finally was able to lay her beloved husband to rest, on December 2, 2006, more than a year past his death. This happened because the Governor of Nevada, Kenny Guinn, intervened and provided a memorial plaque with the Pentacle on it, saying that Sgt. Patrick Stewart had died for his country and that was all he needed to know. May G-d bless the struggle for legal recognition of the pentacle as a sacred symbol with success. Amen. So mote it be. Some people believe that if we stay silent and burn enough candles the bigotry will magically go away. But the last time we ignored the religious intolerance, it was called the Burning Times. It is time to stand up and be counted. She called to Moshe and Aaron by night and said, "rise up, come forth from among my people ..."
The Mitzvah of Mezuzah is actually commanded in Devarim 6:9. But in Shemot 12:3-15 the reason for the Mitzvah is explained: "Speak to the entire assembly of Israel, saying: On the tenth of this month each person shall take for themselves a lamb or a kid, for each household...[on] the fourteenth of this month, the entire congregation of the assembly of Israel shall slaughter it in the afternoon. They shall take some of its blood and place it on the two doorposts and on the lintel of the houses in which they will eat...I shall go through Egypt on this night, and I shall strike every firstborn in the land of Egypt, from man to beast; and against all gods of Egypt I shall mete out punishment. The blood shall be a SIGN for you upon the house where you are; when I see the blood I shall PASSOVER you; there shall not be a plague of destruction upon you when I strike the land of Egypt. This day shall be a remembrance for you and you shall celebrate it..."
An Oht (a sign) is significant because it is a reminder of an act that occurred before the eyes of the entire nation. The mezuzah (מזוזה), representing the protective blood sign, is spelled with two letters zayin. The two letters zayin united together (זוז) within one word for the Jewish ritual item upon the doorpost is like "one dagger of double edges (זוז) of her (מה)." In other words, the "blood sign" on the doorpost which protects a Jew's home in mitzrayim is a woman's double-edged dagger. The contemplative power to "connect and interrelate all elements within creation", bringing down Divine Will into Understanding, is a function of the letter vav which forms the spine of the dagger of double-edges. We know from Celtic history that, for a time, their weaponry through use of iron was far superior to their contemporaries, and that they were feared because of it. We also know that such folklore practices as hanging a knife above a door to cut any negativity that might enter the home (which means that the knives were not used to physically cut, but to defend on the astral plane) were highly popular in that culture. A witch's athame is never ever used to draw blood. If it ever does, it becomes ritually unfit and can never be used again. It must be buried. Thus, in ancient Celtic culture the protecting blood sign upon the door was a double edged dagger which never draws blood. In other words, like the mezuzah, it is a protective blood sign which never draws blood. Putting these ideas together, we can see that the Jewish ritual mezuzah and the Celtic ritual athame both refer to the same essence of spiritual protection - to guard the house from all negative influences that might attempt to enter it. Even the construct of the word mezuzah contains within it the idea of a woman's double-edged dagger as the protective device. Blessed be His Glorious Majesty forever and ever. The witch's "so mote it be" and "amen" mean the same thing. This seal reinforces Divine Will with the soul power of emunah (interincluded within all levels of one's soul) and kavanah to make the prayer spell manifest. It is a formula of confirmation and agreement. By pronouncing "so mote it be" and "amen" one becomes bound to that uttered. One doesn't say either "so mote it be" or "amen" in vain or with evil intent. It is a serious utterance of creation-making for which one is held accountable. Selah is an untranslatable term found 71 times in Tehillim (Psalms) and 3 times in Habakkuk . Interpreted as a musical or liturgical sign, it implies raising, lifting, extolling, exalting (the voice of the singers) and in medieval Hebrew texts, it means "forever". Blessed is the Glorious Name, Her Kingdom stands forever and ever. This Friday evening the eighth (ח) Chanukah light was kindled. At sundown, in both the Celtic and Jewish timekeeping, Friday evening became the day of Shabbat. Honoring this shabbat, many over the world kindled eight lights for Chanukah, completing the 36 lights of the entire period. 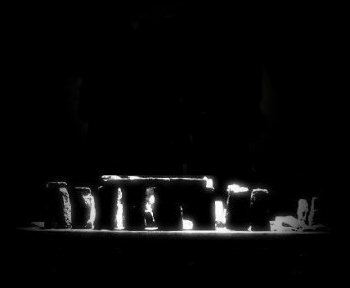 Also honoring this shabbat is the Celtic day of the Unhewn Dolmen, a day set apart from any month in Celtic timekeeping, marking the sacred "space in time" which is a tara'a-gate (ח) into the mysteries of God-consciousness. In the kavanah of hitkalelut, I kindled a black candle, the 37th light, ritually prepared for this glorious event which includes both sacred Holy Days, the eighth day of Chanukah and the Unhewn Dolmen, joined together in the mystery of Shabbat. Blessed is the Glorious Name, Her Kingdom stands forever and ever. Amen. New webring featuring Jewitch websites: Jewish witches, wiccans, kabbalists, shamans, pagans, earth-based practitioners, and mystics welcome. Submit a site here to Jewitchery On The Edge, and follow the instructions for inserting the navigation code. Once the webring navigation code is validated through the system, it enables me to add the website into the ring from the queue. If you have a problem with the code, email me and we'll figure it out how to get it done. If you think you might be a Jewitch, submit your website or blog! 'Smudging' is the common name given to the Sacred Smoke Bowl Blessing, a powerful cleansing technique from the Native American tradition. However the burning of herbs for emotional, psychic, and spiritual purification is common practice in many religious, healing, and spiritual traditions. It is a ritual way to cleanse a person, place or an object of negative energies or influences. 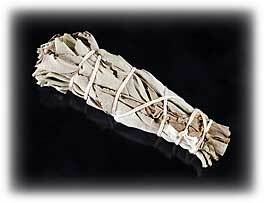 More about smudging, ritual herbs and sacred smoke. Later this week, December 21, 2006 (Rosh Chodesh Tevet 5767) marks the winter solstice, known among witches as the lesser sabbat, Yule. Spiritually, Yule corresponds to the "dark night of the soul", which in Jewish kabbalah corresponds to an experience of the chalal hapanui as a trial in the course of prophetic development. This year, the winter solstice marking the darkest astrological night of the year is also the night of the 7th Chanukah candle. Falling on Thursday, the Hebrew and Celtic archetypes corresponding to the winter solstice of 5767 are Aaron and Lugh, respectively. Aaron is the kohen gadol who kindles the lights of the menorah in the Temple and causes those lights to ascend. In the Celtic myth, The Coming Of Lugh, Lugh is given the sword-scepter of Light by the one who rules the endless sea. As one is a silent aleph (א), so too are the letters "gh" at the end of Lugh silent. Pronounced "Loo", similarly to the Divine Name  Hoo (הוא), the silence of the Gaelic-Celtic "gh" of Lugh corresponds to the aleph of Hoo. Consequently, the phonetic transliteration of Lugh into Hebrew letters is Lua (לוא). Lua (לוא) has a gematria of 37, making it the im hakolel of lamed-vav (לו) , where lamed-vav represents the 36 total lights lit over the 8 days of Chanukah (1+2+3+4+5+6+7+8), the lamedvav tzaddkim and the concept of hitkalelut. In Jewish kabbalah, it is taught that the mashiach will arise from one of the 36 lamedvav tzaddikim in existence. Consequently, the gematria of 37, and thus the name Lua, corresponds to the elevation of a lamedvavnik to the "next level"; that is, to become the catalyst of messianic consciousness using the power of "reverse vision", changing "not" (the translation of Lua) into "not not". The specifically Welsh-Celtic name of Lugh is Lleu Llaw Gyffes, Lleu Strong Hand, where the name is etymologically derived from a proto-Celtic compound conveying the meaning "flowing vigor" and "flight, flying, soaring". This latter meaning of Lleu Llaw Gyffes links back to the function of Aaron, who kindles the lights of the Temple menorah and causes them to ascend. According to Sefer Yetzirah, Wednesday is ruled by the planet Venus. The Hebrew and Celtic archetypes corresponding to Venus are Moshe and Rhiannon, respectively. Moshe is an archetype of messianic consciousness whose name means "drawing out". In Celtic mysticism, Rhiannon is an archetype of the "great mother" whose name means "great queen". Transliterated phonetically into Hebrew letters, Rhiannon רי ענן suggests the concepts of "clarifying and consciously experiencing" (ר) the concentration of something "infinite within the finite" (י) of a cloud (ענן), where the cloud represents the manifestion of the yud (י) of Hashem's Name. Taken together with the name of Moshe, the two archetypes (masculine and feminine side by side) correspond to the ability to clarify, experience (Rhiannon) and draw out (Moshe) the concentration of something "infinite within the finite" to reveal that concealed within a cloud (of consciousness). In other words, together Rhiannon and Moshe are instruments enabling revelation and experience of the Divine Glory. What is the function of "the cloud" contained within the name of Rhiannon?